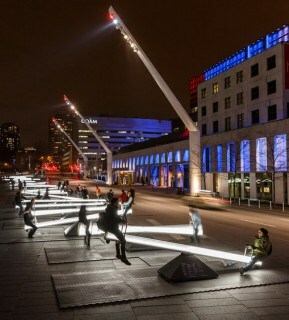 A Canadian team of designers and artists have created an installation of 30 illuminated seesaws in Place des Festivals in Montreal entitled ‘Impulse’. The aim is to transform ordinary people into musicians just by sitting on a seesaw. 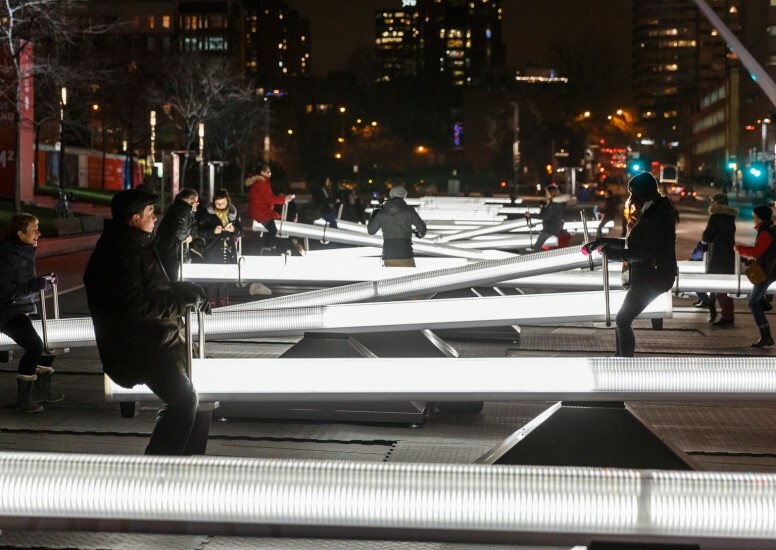 Made by CS Design and Toronto-based Lateral Office, each seesaw is fitted with LED’s and speakers and as the planks move up and down the light intensity and sounds changes. Each visitor is meant to have a different experience while using the seesaws and become the player of a novel instrument. There are 9 videos projected across the facades of surrounding buildings which illustrate ‘the notions of balance and unbalance, symmetry and asymmetry, tension and harmony of the visual and auditory experience.’ The videos were created by a digital artists Mathieu Le Sourd and Iregular who combines art and technology to create their creative experiences. 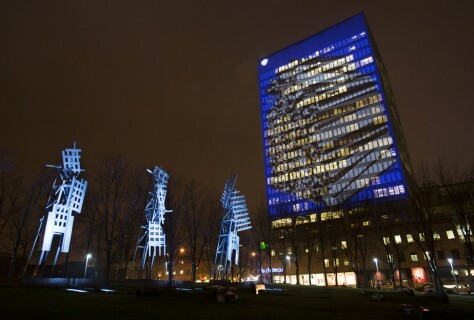 The installation is on view from 10th December 2015 to the 31st January 2016.